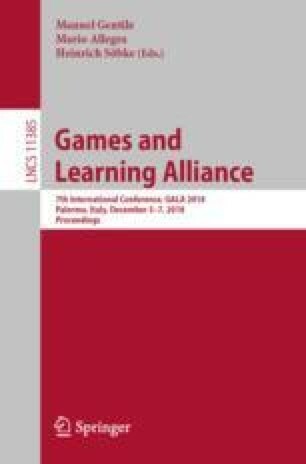 Serious Games (SGs) are widely used in a variety of fields, because they have been shown to effectively facilitate learning in an engaging and entertaining manner. In recent years, there is discussion on how valid evidence of SGs efficiency can be increased, in order to further promote their use. Thus, numerous SG design and evaluation frameworks have been introduced, many of which have proved useful for SGs developing teams. Despite this, however, for novice designers, this vast array can be daunting. The aim of the present paper is to combine well-known frameworks and extract the conceptual factors that need to be considered when designing an SG. Having in mind that the proposed aspects are not in their essence independent, a classification of these aspects is presented, along with suggestions regarding their use and the dependencies among them. Although the various frameworks might have many common factors, there are some that highlight specific aspects of a particular factor. For instance, those frameworks that apart from the descriptive factors provide aspects regarding application, measurement, and assessment.